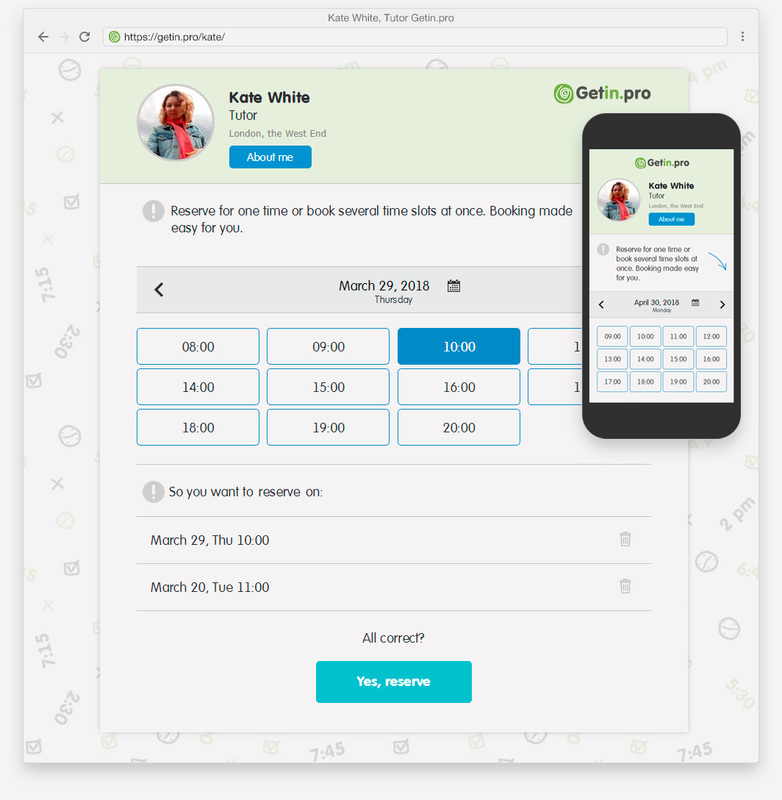 Getin.pro - online appointment booking software. 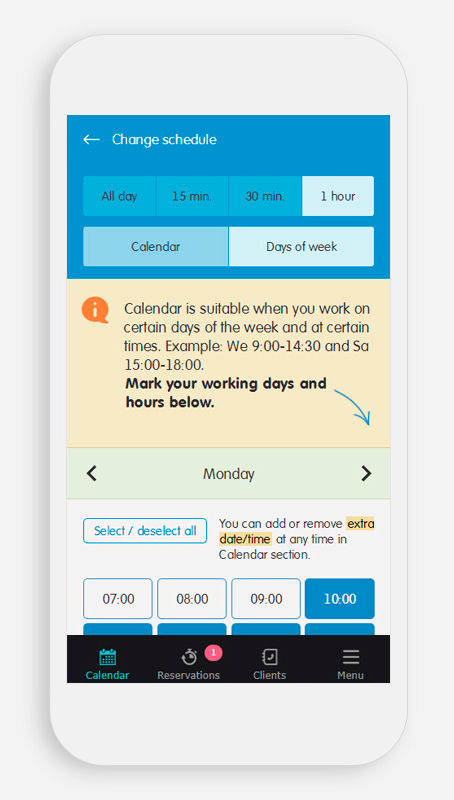 Online scheduling solution. instead of long dialogues and phone calls. Perfect for self-employed: massage & beauty therapists, nail & hair stylists, personal trainers, doctors, tutors, etc. Access your schedule calendar anywhere, anytime, any device. and get online bookings 24/7. 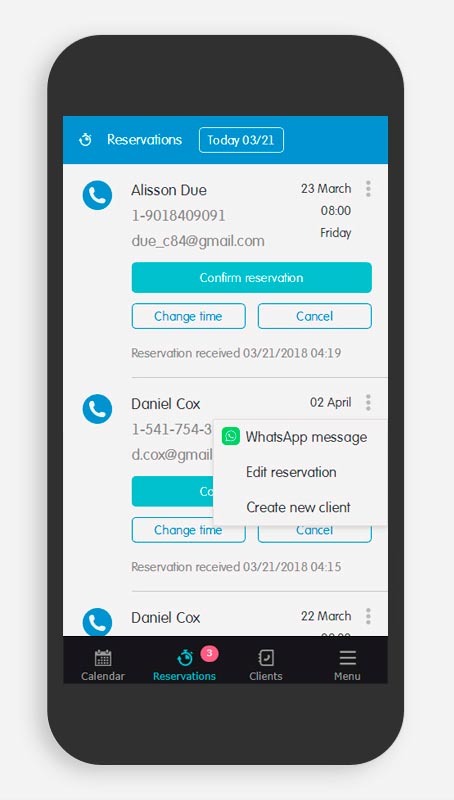 Be sure that your clients can book your time. Simply create account to begin. Feel free to ask any questions, we’ll be glad to help you. Copyright © 2019 Getin.pro. All rights reserved.